It’s not a wildly inspiring ComicList this week, so I’ll focus on one title that earned #mangamonday tweets from both Kate (The Manga Critic) Dacey and Sean (A Case Suitable for Treatment) Gaffney. 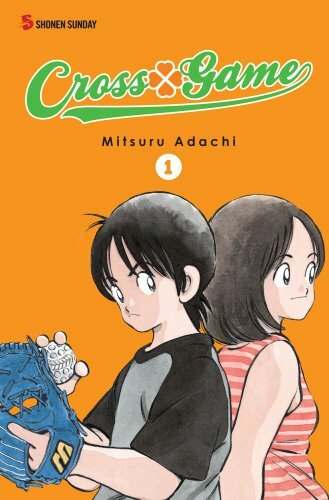 That would be Mitsuru Adachi’s Cross Game from Viz’s Shonen Sunday imprint. It’s about baseball, and there are few sports I find duller, but Kate assures me that she shares my view of America’s pastime and still found the comic to be a lot of fun. And it wouldn’t be the first time I enjoyed a manga in spite of not sharing any of the interests or obsessions of the characters. And speaking of Shonen Sunday, several other titles from that imprint are due to arrive in comic shops Wednesday. You can sample big chunks of all of them at Viz’s online anthology site. You are currently browsing the The Manga Curmudgeon blog archives for the day Tuesday, October 12th, 2010.